Two climbers fell to their deaths while climbing the Freeblast Route on El Capitan inside Yosemite National Park Saturday morning. Sergio Quintana reports. Two climbers fell to their deaths while climbing the Freeblast Route on El Capitan inside Yosemite National Park Saturday morning. Park Rangers received 911 calls reporting the falls at approximately 8:15 a.m. Rescue staff responded to the scene but the climbers, identified as Jason Wells, 46, from Colorado and Tim Klien, 42, from Palmdale, did not survive. "We found that two climbers had fallen, the fall did result in a fatal fall," said Park Ranger Jamie Richards. 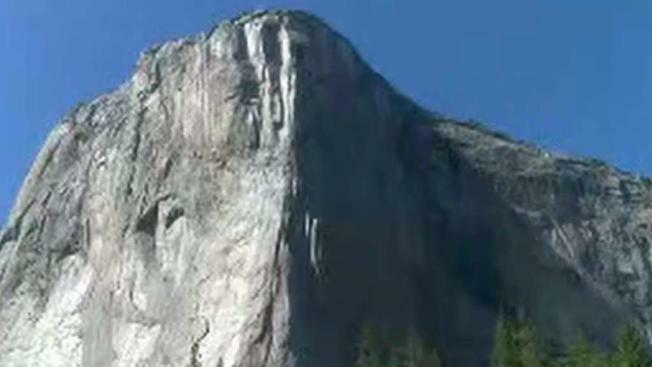 Last month, another park visitor died after falling from the Half Dome cable at Yosemite. It was the first fatality in the Half Dome cables since 2010 and the first visitor fatality in 2018, officials said. Earlier in May, Hans Florine, a famed rock climber also fell while climbing The Nose of El Capitan. He survived with a broken heel and ankle. Florine knew both of the deceased men and says Klein was known for his speed and knowledge of El Capitan. "He's actually climbed the nose twice in a day," Florine said. "Which, no one else has done except has done, except for his partner who was with him. Including me, I haven't even climbed the nose twice in a day." Klein was a teacher at Palmdale High School in Southern California. "He doing what he loved, by all accounts, what I know of both Jason and Tim, yeah, they were doing what they loved," Florine said. The National Park Service is still investigating what caused both men to fall.